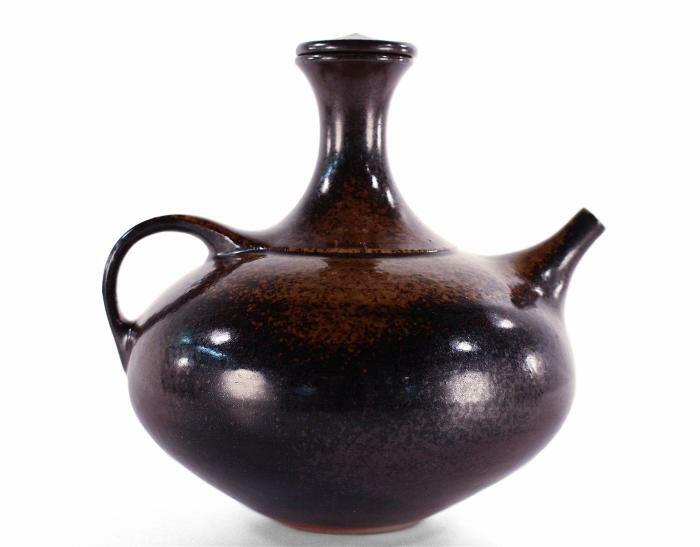 Stoneware jug with squat bulbous body and wide shoulder that tapers to a high neck and flared mouth. The flat lid has a slight point in the center. The small c-shaped handle is attached at the midsection and the shoulder where it forms a ridge that surrounds the jug. Opposite is the small tapering spout.